Umm, so yeah, Google just posted Android 4.4.4 factory images as build KTU84P. We are seeing files for the Nexus 5, Nexus 7 (2013) WiFi, Nexus 10, Nexus 4, Nexus 7 (2012) WiFi, and Nexus 7 (2012) Mobile. The new 4.4.4 binaries are there too. I would be lying if I said that this move wasn’t surprising. 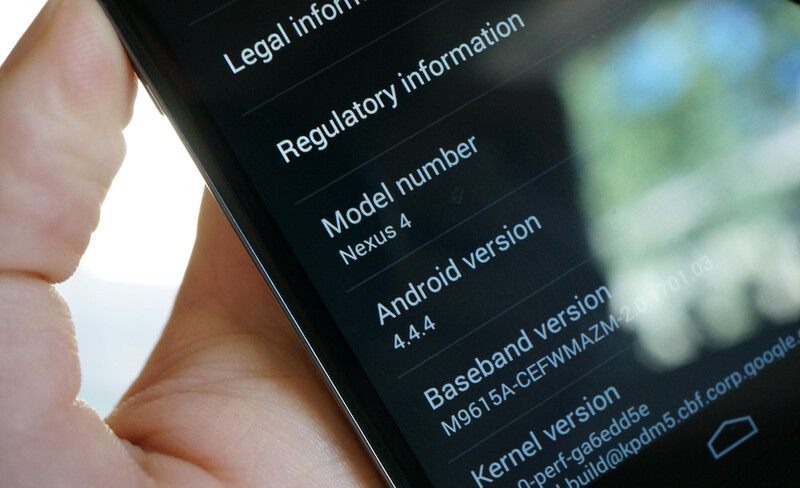 We just got an OTA update on almost all Nexus devices to Android 4.4.3 a couple of weeks ago. I would imagine that another OTA update is imminent. Any guesses as to what it will fix? If you are interested in flashing Android 4.4.4 factory images, hit up these instructions. Update: My Nexus 4 is now running Android 4.4.4. So far, not seeing anything new in particular. Update 2: According to Sprint, the update is nothing but a security fix. Update 3: If you are prompted with an OTA file, don’t forget to grab the URL of the file. Thursday Poll: What's Keeping You With Your Current Wireless Carrier?